Much awaited M. Night Shyamalan’s adaptation ‘Glass’ ready to ace $50+ million within the first three days into the theaters; an edge because of the holiday debut. After just two weeks, the start of 2019 for Hollywood is rather surprising in terms of the box office with some underdog performing way beyond expectations. Some of those notable highlights include the surprise $20 million debut of The Upside last weekend while WB's Aquaman became the first film in the DC Extended Universe to top $1 billion 7 years after Christopher Nolan’s The Dark Knight Rises. And this weekend, cinema-goers are looking to M. Night Shyamalan's Glass on course to becoming the second biggest January and Martin Luther King Jr. openings ever behind only Clint Eastwood’s American Sniper. Universal Studio’s Glass is the highly anticipated third film in M. Night Shyamalan's Unbreakable franchise. The movie is set to follow the success of its predecessor 2017's Split, which opened with a whopping $40 million en route to a $138.3 million in the domestic run and reaching nearly $280 million altogether with the international gates. The supernatural thriller adaptation ensembles the likes of Samuel L. Jackson, Bruce Willis and James McAvoy, and is set to hit the theaters in 3,841 locations with the studio expecting a $50 million opening over the film's first four big screen days. As per the information, critics are looking at such forecast of being somewhat conservative. Also the mixed reviews the film garnered over its post-production is hinting from the beginning that the movie is bound to take a detour or two when excelling throughout its first weekend. 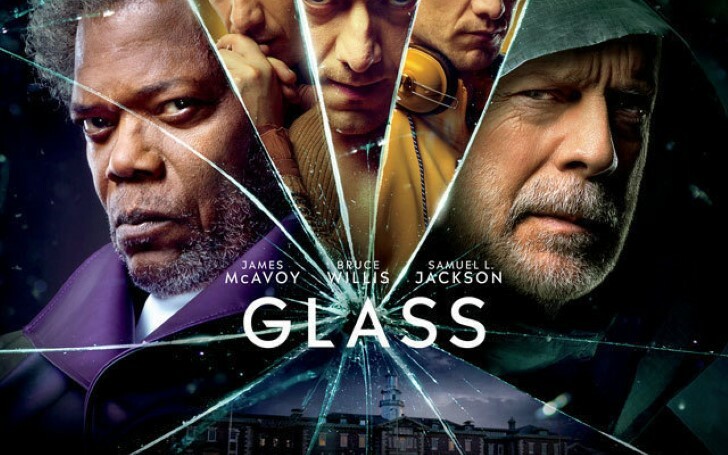 On a contrary, a look at other metrics such as that of IMDb’s, it shows that Glass is definitely to out-run Split prior to the two weeks ahead of its global release. The seems to be a eulogy in for the Unbreakable franchise is also expected to surpass last summer’s surprising post-apocalyptic horror surprising hit A Quiet Place (featuring John Krasinski and Emily Blunt), which delivered a $50.2 million in its opening weekend. Having said that, if the reviews for the film do not meet either of those comps, suggesting audiences may exit even before the credits, but as mentioned earlier the new year is already surprising us with some out of the blue hits. Given the profile of the Glass as big with the casts from some A-listers, it should easily be able to break that threshold of half the $100 million marks during its three-day or at most in four-day performance. To take a look from STX's The Upside, the comedy-drama starring Bryan Cranston and Chris Rock currently reigns the second place performance following its strong debut last weekend. Although the movie’s three-day run is descending around -21%, the $16+ million in its first three days and a four-day performance around $19 million should give the film a domestic gross of around $40+ million or so come at the end of Monday. While over at Warner Bros, DC is having quite a blast with James Wan's Aquaman starring Jason Momoa and Nicole Kidman. With a strong opening in the international box office, Aquaman has already grabbed the title of year’s first billion-dollar movie with the current gross standing at an astounding figure of $1.022 billion. And if considered the irony that Aquaman is grossing less in its domestic box office than at the international landmarks, then it wouldn't be surprising to see Glass following the similar performance with maybe around $10-11 million in that three days’ period with a four-day around at $13-$15 million. If only the movie fails to grab as much eyeball as it was attracting with all its trailers and the promos. While Aquaman's success continues to thunder, Paramount/Viacom’s Bumblebee quietly managed to swoop a moderate success on its own, thus far operating as a conventional add against its parent blockbuster, the Transformers franchise. This 1980s-set prequel starring John Cena and Hailie Steinfeld managed to leg out past $115m domestic from a $21m debut, becoming the lankiest Transformers movie ever. Over at Disney's first flick for this year, Mary Poppins Returns earned pretty much positive reviews and along with some Oscar buzz. The $130m movie did lap it like a pro past $153m domestic thus far from a somewhat sleazy $32m weekend debut. Nonetheless, it probably might pass Chicago ($170m in 2002) and The Greatest Showman ($174m in 2017) among live-action musicals over the span of its theater arena. But among the immediate competition Glass is set to face is the current fourth grosser from Sony's A Dog's Way Home, which is dripping around -22% in its second weekend after $8.5-9 million in its first weekend. Though the Bryce Dallas Howard and Ashley Judd starrer family adventure is currently pushing toward $11+ million for its four-day weekend eyeing altogether for a domestic cume of around $25 million. Moving down, the Sony Animation's Spider-Man: Into the Spider-Verse, is currently rounding off at the fifth position still looking to add over $6 million and maybe over $7.5 million with it's three and four-day theatrical runs respectively. Come this Monday the film will be looking at a domestic total of around $160 million as it marches onto emerging out as the animation house's highest grossing domestic release ever. Over at the Pacifics, it's also worth mentioning that FUNimation's release of fantasy martial arts film, Dragon Ball Super: Broly delivered $7 million on its Wednesday release hence almost recovering its initial budget of $8.5 million. The 20th film lined up from the Akira Toriyama’s world of Saiyans and Gods has already grossed almost 8 fold of its initial production cost with its current box office figure at $64 million. The aggregation though for the anime flick is yet to come as the movie is still due to release over Australia and several other oceanic territories.